When the Animals Were People is a collection of stories taken from the rich mythology of the Chumash Indians. The Chumash lived in Southern California along a Pacific Ocean coastal region between San Luis Obispo and Malibu, where they were an important tribe before the arrival of Europeans. These fanciful stories tell the adventures of Coyote and his friends, whom the Chumash believed were once people. Coyote reacts to different situations with his characteristic cunning, trickery, and out-and-out foolishness. The myths were a way for the Indians to explain their world and pass on their traditions to their children. Many of the myths were long and complex. 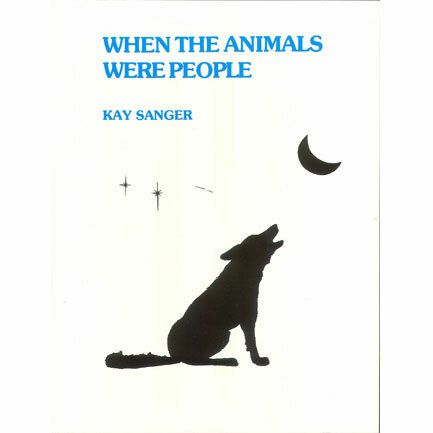 The editor, Kay Sanger, has retold them in a style that will appeal to youngsters in the upper elementary grades and junior high school. Detailed illustrations show artifacts such as a stone whale carving, a wooden plank canoe, and an asphaltum-lined water basket from the Chumash people.